Last month, WK360 made the trip down to The Indie Beauty Expo at the Old Truman Brewery in Shoreditch. We wanted to find the finest and most innovative beauty brands who could make use of some of our packages - as well as discover new trends and changes in the ever-changing industry. 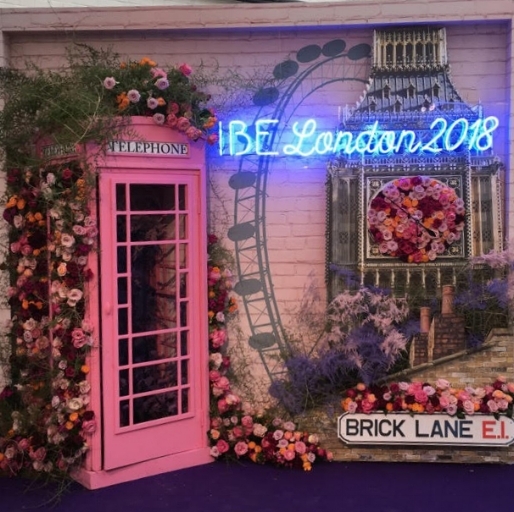 The two-day expo, held in Shoreditch, was full of cool and quirky cosmetics brands. The health & beauty brands there were incredibly diverse – from Kiss The Moon, night-time skincare products to help you sleep, to Laneways, the Asian cosmetics company spending their first time in the UK standing out loads thanks to their neon stand, to OrganiCup, a silicone-based alternative to disposable tampons. Awake Organics were delightfully noisy about their hemp-based products, which, according to their website, is the most sustainable crop available - and great for the skin too. Melissa, Awake Organics’ founder, alongside her stand and organic product range. Laneways’ colourful stall set them apart from the crowd. It was their first time in the UK, so they definitely made a splash. Without a doubt, what seems to be trending is the need for natural ingredients – vegan friendly, health-aware, environmentally savvy beauty brands have found a niche in the market and, to their credit, are clearly exploiting it well. In the midst of a global environmental crisis, it is great to witness small- and medium-sized businesses actively trying to make a change. Using less plastic, scrapping single-use materials and using more natural ingredients as a whole can only be considered a positive change in the industry – even if it is only a few brands to begin with. We’ve worked with many beauty companies over recent years – brands that are so renowned that they supply to the Royal Family (Penhaligon’s), brands that love the science behind creating healthy beauty products like Ruby Red, and environmentally conscious brands that specialise in natural ingredients like Miller Harris. One drastically common factor here was each of these beauty brands’ focus on brand-awareness – in particular, awareness generated through web content. And, of course, the best quality content is what your customers will want to engage with - that’s where we come in. The event was full of people, even at the end of the day - pictured are the last ones standing! WK360’s Image Studio has the capacity and workforce to create breath-taking content for clients big and small. We have expert photographers, videographers, and designers. Our Image Studio team can provide you with awe-inspiring content, and our Digital Team can use their specialist tools to fully analyse your ROI. Check out our extensive Beauty/Health portfolio to see what else we can do for you.